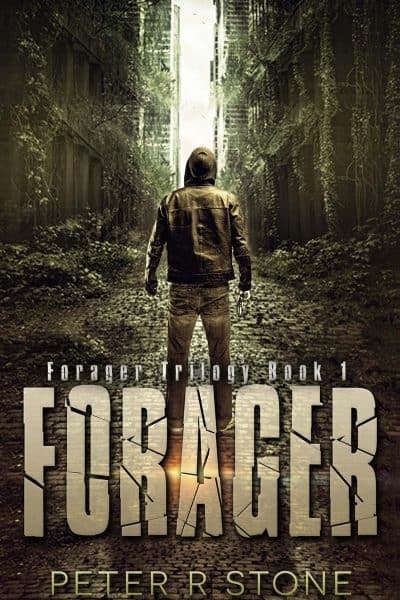 Ethan Jones is a forager who lives in a post-apocalyptic, oppressive society that terminates anyone with mutations. When Skel savages ramp up their attacks on the foraging teams, Ethan has to find out if this is part of a larger plan that could spell the town’s doom. Twenty-year-old Ethan Jones lives in a post apocalyptic, oppressive society that terminates anyone with mutations caused by nuclear radiation in an effort to keep the human race pure. Because of that, he lives every day in fear for his life, for he has an incredible mutation that gives him an edge when foraging in Melbourne’s ruins. An edge he uses to survive encounters with the vile Skel savages who roam those ruins. His life becomes complicated when he rescues a mysterious Japanese girl from the Skel and brings her back with him, for she breaks the town’s rigid conventions in her pursuit of him, placing their lives in jeopardy. Her odd behavior and probing questions baffle him, as does the fact that he understands her when she speaks in Japanese. At the same time, the Skel ramp up their attacks on the foraging teams. Is this part of a larger plan that could spell the town’s doom? And why do the Skel suddenly possess advanced technology—who is backing them, and why? Keeping his mutation secret, uncovering the girl’s true intentions, and trying to save the town all vie for Ethan’s attention. And if he fails, not only his life, but the lives of all, are at stake.